The second main partner of CAIGE is The International Maize and Wheat Improvement Centre known as CIMMYT. Based in Mexico, the centre develops sustainable high yielding lines for wheat and maize. Every second year, Australian breeders and CAIGE representative visit and select materials they would like to test in Australia. Every year, Australia receives germplasms from CIMMYT that they can try in the field. 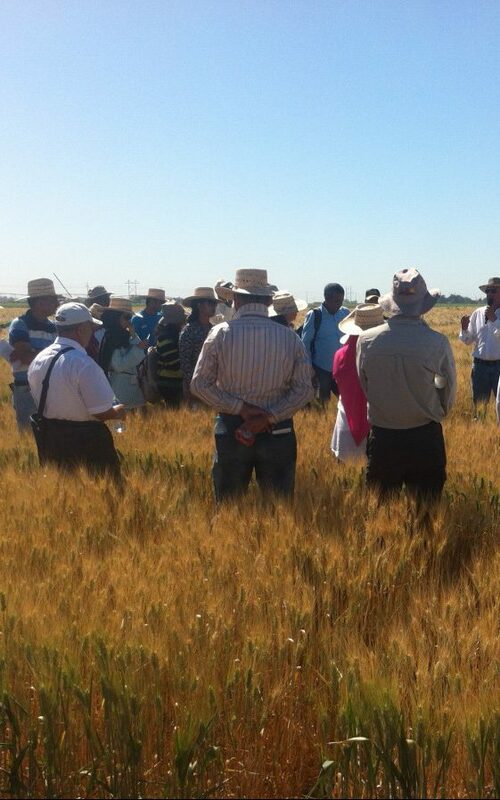 CIMMYT representatives joins us during CAIGE yield trial tour held in October. The collaboration is beneficial for both sides and allowes to enhance germplasm evaluation and selection.